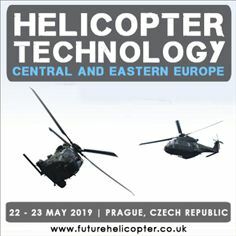 This year’s highly-anticipated event is set to provide the valuable perspectives and key updates on the operational excellence, maintenance, procurement of multi-purpose helicopters, and logistics in supporting upgrades of aging fleets as European nations move away from soviet-era helicopters. The event brochure will soon be available on the website with the full two-day and speaker line-up. Keep up to date with the latest conference news and find out more about the event at http://www.futurehelicopter.co.uk/vuelio1. Book your place before January 31st to save £400.